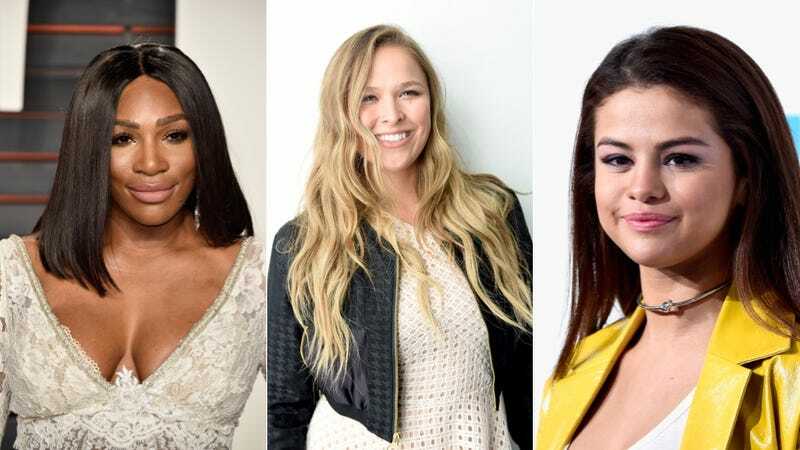 Lifetime announced a bunch of random programming to be developed over the next year, including a movie deal with Ronda Rousey, a Serena Williams project and a series executive produced by Janet Jackson. Switching the focus a bit from terrible biopics to original projects like UnREAL, the network is looking to all these high-profile women to create interesting content and bring in viewers. Selena Gomez, for instance, is working on a scripted series with Kevin Spacey that’s based on her life, while the Janet project follows the story of real-life Prohibition-era mobster Queenie. Rousey has signed a three-picture movie deal to bring stories that reflect her passions about empowerment to the screen, according to the network. Additionally, Williams will executive produce the movie, Sister Dance (wt), a story inspired by the annual dance-off competition she hosts with her sister, Venus. Also on the schedule: the unscripted series Fashion Inc. (it sounds like Shark Tank meets Project Runway), an adaptation of the YA novel Sea Change and a 2017 U.S. premiere of the U.K. comedy Catastrophe, currently streaming on Amazon.